Unless you have been hiding out for the past week you have probably heard that Facebook recently announced a new update to its algorithm. On January 11th Mark Zuckerberg announced that Facebook will be making changes to turn the platform back into a place where people can connect with family and friends. It’s known as the Facebook update Closer Together and it’s going to take the world of social media marketing for businesses by storm. While this may seem fun and exciting for ordinary Facebook users, this Facebook update is big news for businesses on the platform. Since the whole algorithm is going to change, marketers and social media specialists are going to have to adapt to the new formula to maintain their pages’ engagement rate. What exactly is changing on Facebook and why? This new update has businesses everywhere asking themselves what exactly is changing with this update and why? Zuckerberg made it pretty clear in his announcement of the updates that Facebook wants to give their users what they are looking for. The platform was created to help people connect, but the feed has been getting clogged with business posts and advertising. People are getting tired of it and Facebook responded to this update. He wants people to feel that the time they spend on Facebook is “well spent”. The last few years saw major growth in the importance of social media marketing. Businesses were encouraged to get out on social media and spread the word about their brand. The Closer Together update is going to begin to prioritize personal posts and posts that people are using to engage in conversation in the comments. The old algorithm was designed to help people find relevant content. If your posts were receiving likes and comments, you were going to reach more people. When your engagement rate went up, in any way, your post was shown to more people in the news feed. Businesses began to use things like click bait and false news to gain additional reach along with other algorithm manipulations. Posts could be seen by a lot of people even if they did not spark any interesting discussions. However, the new algorithm won’t use the same metrics anymore for judging which posts will be featured in the news feeds. Although the usual reacts, likes and shares will still play a role in getting your posts noticed, comments and discussions will now play an even bigger one. For your post to rise higher, it must be interesting enough to spark a good discussion. What does this mean for your social media marketing campaign? Your brand has to garner relevant comments in order to rise in the rankings. Your post must be a high-quality one that can get people to talk about it. You want people to be commenting and interacting with each other on your posts. The more people talk about it, the higher your ranking will be. The more posts you put out that no one responds to the lower you will drop in priority. If you want people to see your content you need to get them engaging with it and talking about it. Stop asking for likes and shares and focus on creating content that people are enticed to reply to. Stop focusing on your business in your post and start focusing more on inbound marketing. Give your audience what they are looking for and make your content about them. Find out what they are interested in, inspired by, and talking about. Keep your content up to date to maintain relevancy within your industry and local market. Find a way to connect with your audience in this way and you will be able to maintain your reach. The news feed is not going to focus on your public content once the update is finished. But, you can still put your business out there on Facebook through paid advertising. This includes avenues such as in-stream videos, sponsored messages, and right column ads. When you use paid advertising you can guarantee that your message will have reach, but choose carefully which option you go with. Choose the right ad in the right place. Know the difference between boosting posts and creating quality ad campaigns through Facebook Ad Manager. Boosting posts is a simple way to increase your posts reach to your current followers, but ads manager offers better tools and control to target your audiences and measure results. You need a b plan for your own business, but it never hurts to see what your competitors are doing. As you update your Facebook strategy keep an eye out to see what other businesses are doing to succeed. As the changes roll out you want to make sure that you are staying on top of your industry. You might be thinking now that other social media platforms such as Twitter, Instagram, or Pinterest might be a more viable marketing platform with the new update. While it is important to have an online presence on several platforms, you won’t want to forget about Facebook altogether. Statistics tell us that Facebook is still a market leader with 2.06 billion monthly active users as reported by Statista in September 2017. So, even if Facebook engagement for your business drops in 2018 (which is expected by Zuckerberg and his team), the platform will remain the biggest social media platform. Because of this, Facebook is still going to remain very relevant to marketers. With billions of people in its community, your business has the potential to reach a large portion of your target market. Marketers can take advantage of those numbers by simply adapting to the updates. While it’s important that your business learns to adapt to the Facebook update Closer Together, it’s important to remember that it shouldn’t be your focus. All social media platforms are useful when marketing your business, but this announcement reminds us that we have no control over what the platform is doing. Email is still king when it comes to reaching your desired audience. It has the highest ROI of all digital channels that you can control, which is why maintaining your email lists is critical. 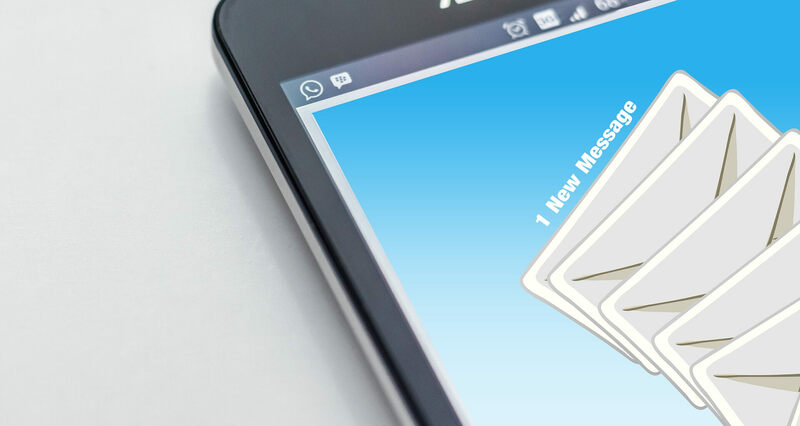 In 2018, email marketing is still going to be as important as ever. With the use of smartphones, people can access their email from just about anywhere at any time. Therefore, you should still focus on growing your email list. You don’t own Facebook, but you do own your email list. That means you have more control over a b email marketing campaign than over your social media content. Once someone signs up to join your email list you can begin to contact them directly with the information you want them to have. And, you can use your emails to direct your target market back to your website. Your email marketing campaign and your website need to work together. People can sign up for your list on your website and come back to your site through your email. The good news is unlike Facebook, you have full control over your website. If you spend the time optimizing your site, you can expand your reach. That’s where SEO comes in. SEO or Search Engine Optimization is the process of creating content and designing your website in such a way that it’ll prompt search engines to propel your website to the top of the search results. You optimize your site by including the keywords that your target audience is entering in the search engines. Just like Facebook, Google and other search engines have their own algorithm when it comes to prioritizing which content makes page 1 So, make sure you spend time optimizing your site, in order to appear in the search rankings. Another thing to remember is that email marketing and website marketing go hand in hand with social media marketing. So, a good mailing list and an optimized website can complement your social media campaign. The news of the Facebook update Closer Together is going to bring changes to marketing strategies. This algorithm is set up to keep low-quality content and posts with clickbait from clogging up the news feed. When you look at it that way, the update doesn’t have to be a bad thing for your business. 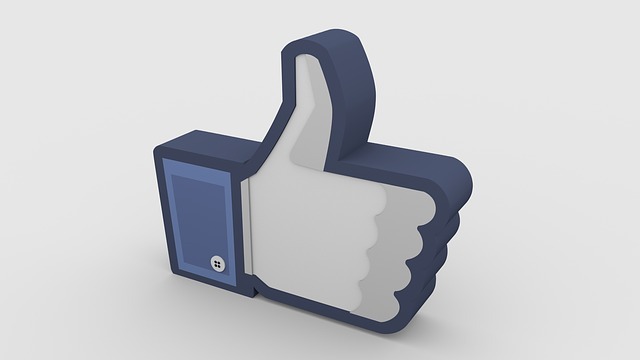 As Facebook users begin to enjoy the posts on their feed more they will pay more attention to what is showing up. That means you can still reach your audience if your business can provide posts that engage them. Facebook is not going away, and it is not going to become irrelevant. Even with the updates, you can still succeed with your social media marketing. As you go forward, begin to focus on quality Facebook posts instead of the quantity. Stop posting status updates that push your business on your followers. Instead, use your posts to connect with your audience. If you prepare your business for the major Facebook update that’s happening right now, you should have no problem positioning your brand.